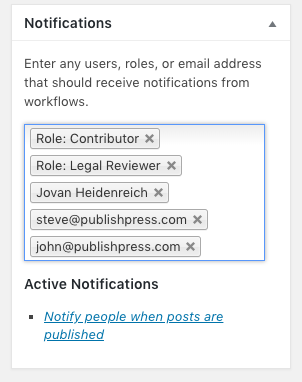 One of the most powerful features in PublishPress is the Notifications system. There are default Notification Workflows to send you updates when content changes. However, you can also manually choose whether to receive notifications for certain content. Underneath each content item, you can click a “Notify me” button. If you click this button, you well receive all the messages for this post that are set up in Notification Workflows. 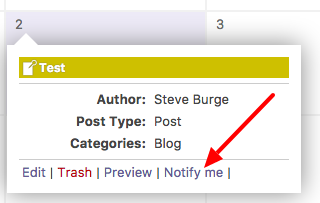 If you click the “Notify me” link next to content, your name will be automatically added to the “Notify” box inside each post. Using a slick search box, this “Notify” box allows you to choose which users and roles are being notified about a post. 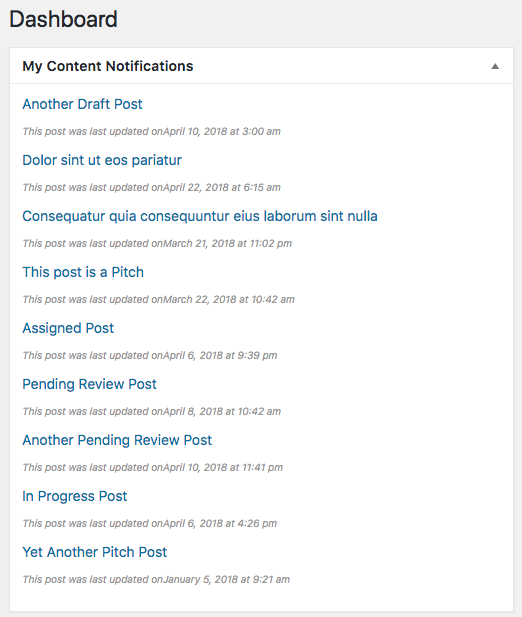 For example, these users and roles will now get an email whenever an editorial comment is added, or the post is moved to a new status.